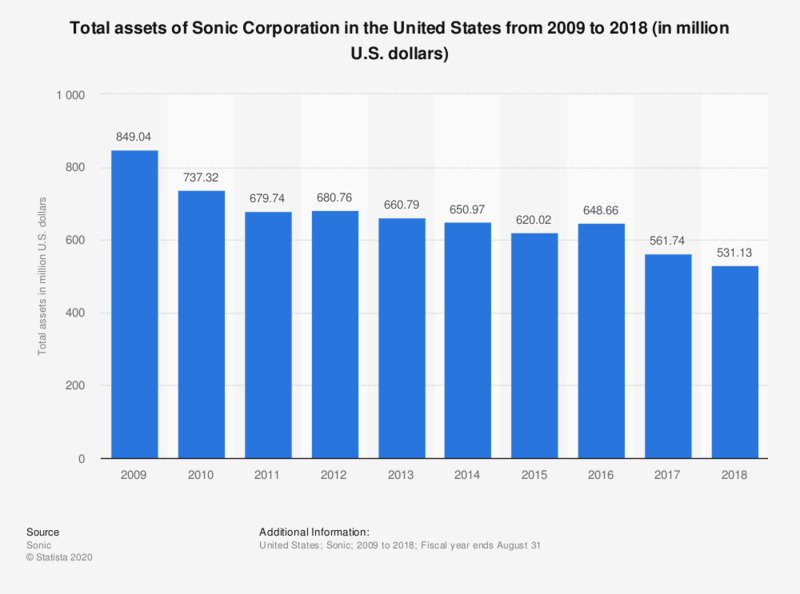 This statistic shows the total assets of Sonic Corporation in the United States from 2009 to 2018. In 2018, Sonic Corp.'s total assets amounted to 531.13 million U.S. dollars. Sonic Corporation, founded in Oklahoma, United States in 1953, is a drive-in fast-food restaurant chain.